Over the next five months, eight competitions for the children’s surfing circuit will be held at the micro destinations of Sayulita, San Pancho and Punta de Mita. There will be plenty of waves and plenty of fun to go around! 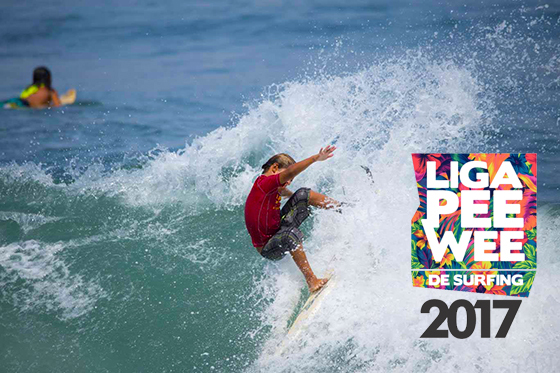 After a successful last year, the PeeWee Surfing League returns in 2017 with eight competitions to take place over the next five months on the beaches of Sayulita, San Blas, San Pancho and Punta de Mita. This children’s circuit is set up for participants between 4 and 12 years of age and seeks to promote the sport of surfing as well as attract family tourism to the different coastal villages that host the competitions. League Director Rogelio Ramos mentioned that one of the main objectives of the tournament is to lend its support to the newer generation of surfers during their formative years as they grow into top athletes. “We also want them to have fun and enjoy the tournament, as well as get motivated to learn and compete from the time they’re very small, so the upcoming generations might be able to watch a Mexicans surfer competing in the World Surf League Championship Tour,” he added. The league is presented by Ramos Shapes, Sunset Bungalows and Los Rudos SurfShop, and follows the competition formats established by the World Surfing League’s (WSL) World Championship Tour Top 33 and the Surfing Association of the State of Nayarit (ASENAY, by its acronym in Spanish), and is supported by local surfing clubs from the different host villages, as well as the Riviera Nayarit Convention and Visitors Bureau (CVB). The tournament is divided into two categories: one from 4 to 8 years of age and the second from 9 to 12 years of age, both with male and female divisions. The best in category for each heat will receive an award. The first stage of the competition will take place in August with two dates, one in Sayulita (August 19) and the other in San Pancho (August 26). Subsequent dates include: September 9 and 30 in San Pancho; October 7 in San Blas; October 14 and November 25 in Punta de Mita; and the last one on December 16 in Sayulita. The young participants must register before the competition and have parental consent.